Living On Food Stamps: Newark Mayor Cory Booker Takes Up Challenge : The Two-Way The Democratic politician has taken up a challenge to live on $30 worth of food for a week. That's about what the average food stamps recipient in his state receives. It's part of a campaign to raise awareness about the struggles of low-income Americans. A campaign to raise awareness about the struggles of low-income Americans who depend on food stamps gets a high-profile plug today as Mayor Cory Booker of Newark, N.J., begins a week of living on $30 worth of food. The Democratic politician took up the SNAP/Food Stamp Challenge after getting into a discussion with a fellow Twitter user about "the role the government should play in funding school breakfast and lunch programs," The Star-Ledger writes. 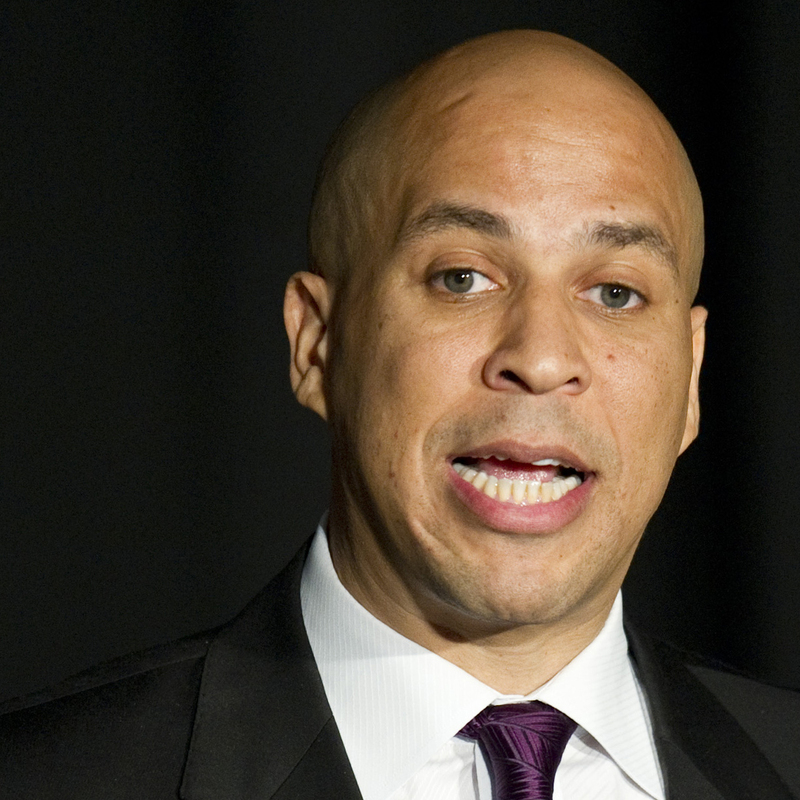 Booker is very active on Twitter, and is sure to be posting updates about his experience. He's already twitpic'd a photo of his grocery receipt for the week. He spent $29.78, mostly on fruits, some vegetables and "lots of beans," as The Star-Ledger says. "My goals for the #SNAPChallenge are to raise awareness and understanding of food insecurity; reduce the stigma of SNAP participation; elevate innovative local and national food justice initiatives and food policy; and, amplify compassion for individuals and communities in need of assistance. Over the next seven days, I plan to highlight the voices of people involved in local food policy, the SNAP program, and other related initiatives. ... Throughout this week, I will document my #SNAPChallenge experiences and reflections on LinkedIn, Twitter, Facebook and through video on #waywire." A previous post about the mayor: "Today's Hero: Newark Mayor Cory Booker, For Going Into A Burning Building."